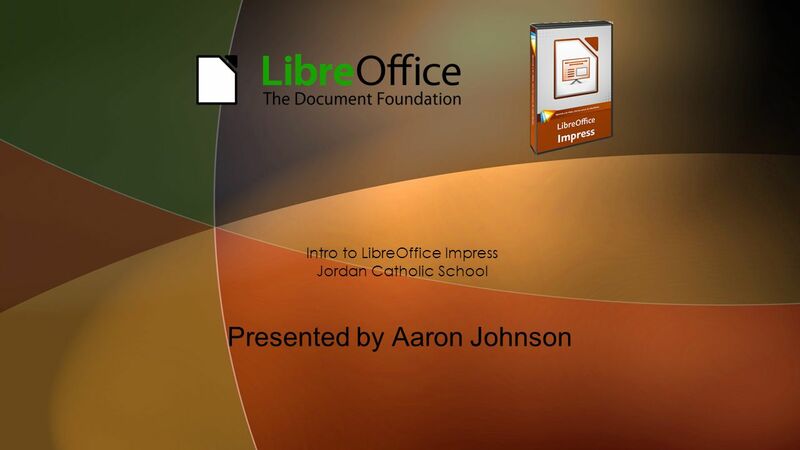 Presented by Aaron Johnson Intro to LibreOffice Impress Jordan Catholic School. 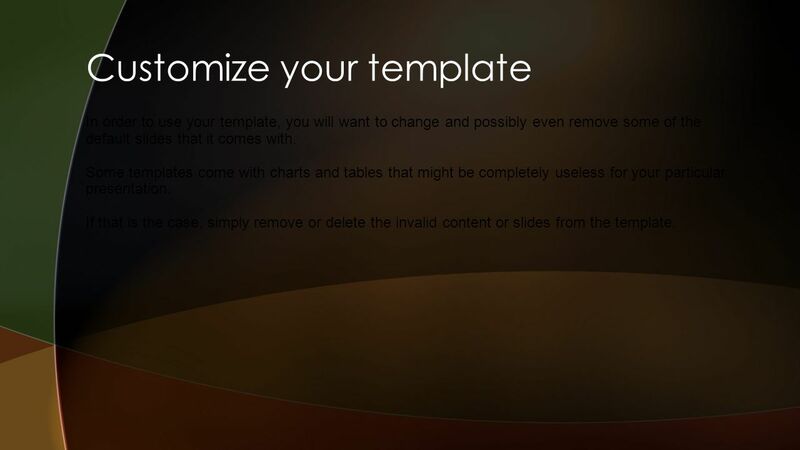 4 Customize your template In order to use your template, you will want to change and possibly even remove some of the default slides that it comes with. Some templates come with charts and tables that might be completely useless for your particular presentation. If that is the case, simply remove or delete the invalid content or slides from the template. 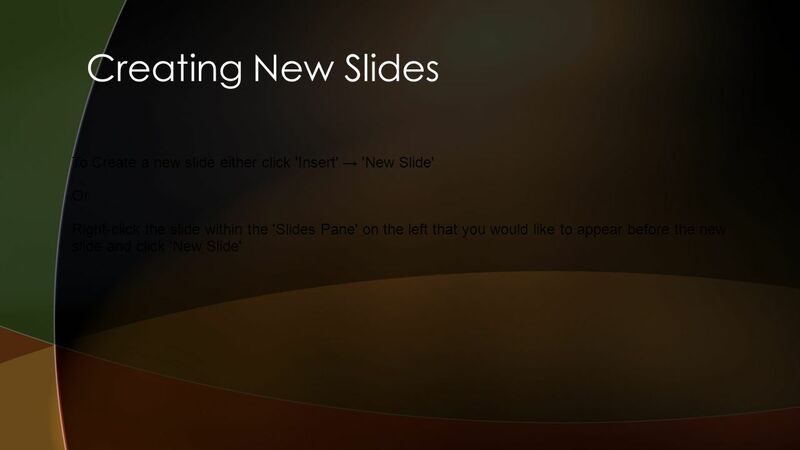 6 Manipulating Slide Layouts Your template will come with a default layout for each new slide that you create. 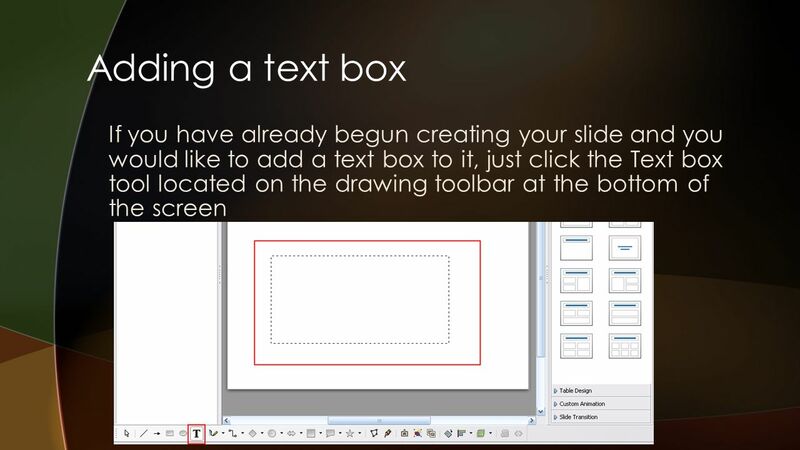 If you do not like the default layout that is created for each new slide then you can change it by using the 'Tasks Pane' located to the right of the slide. 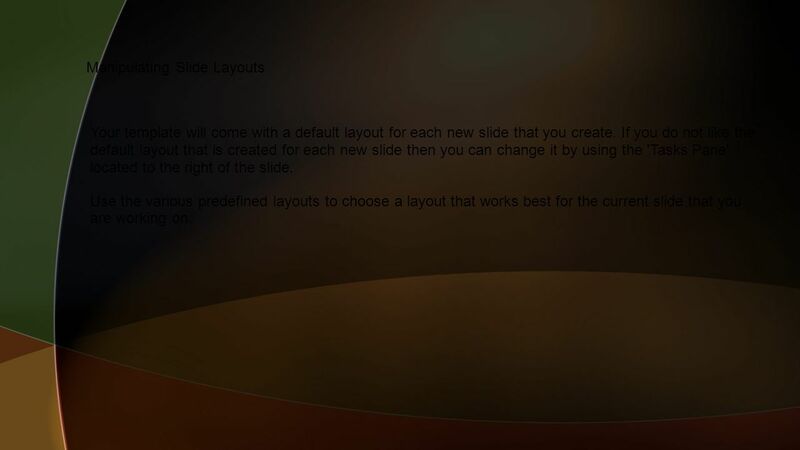 Use the various predefined layouts to choose a layout that works best for the current slide that you are working on. 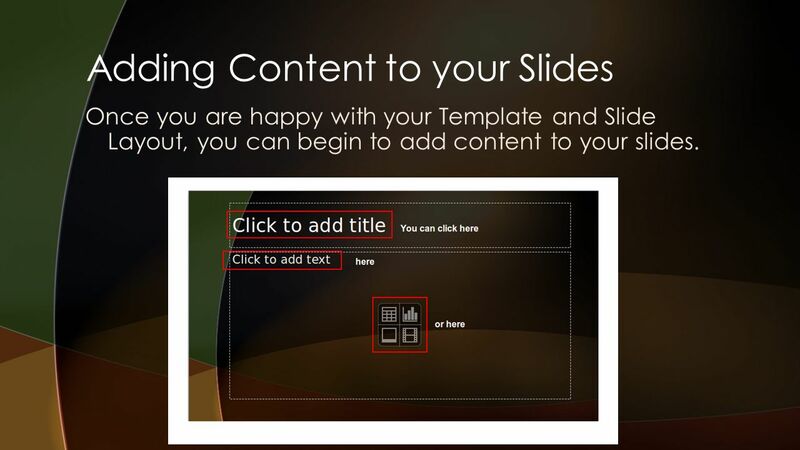 7 Adding Content to your Slides Once you are happy with your Template and Slide Layout, you can begin to add content to your slides. 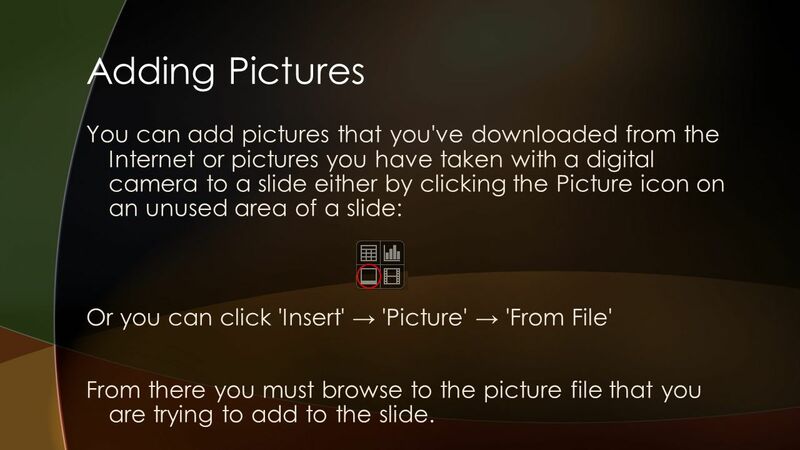 8 Adding Pictures You can add pictures that you've downloaded from the Internet or pictures you have taken with a digital camera to a slide either by clicking the Picture icon on an unused area of a slide: Or you can click 'Insert' 'Picture' 'From File' From there you must browse to the picture file that you are trying to add to the slide. 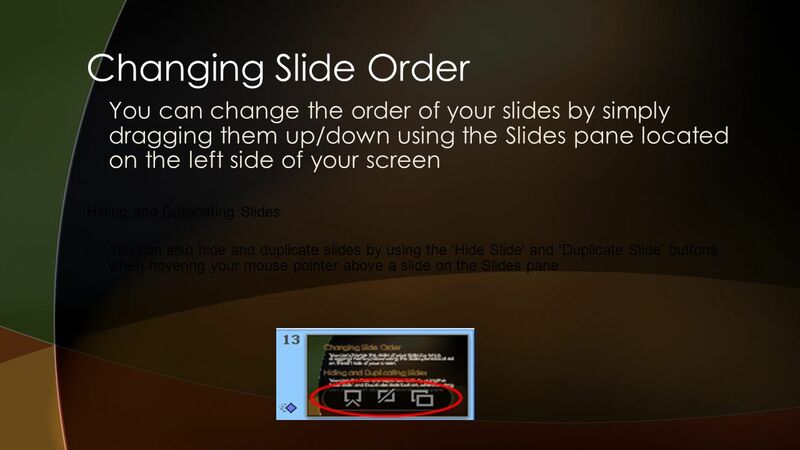 13 Changing Slide Order You can change the order of your slides by simply dragging them up/down using the Slides pane located on the left side of your screen Hiding and Duplicating Slides You can also hide and duplicate slides by using the 'Hide Slide' and 'Duplicate Slide' buttons when hovering your mouse pointer above a slide on the Slides pane. 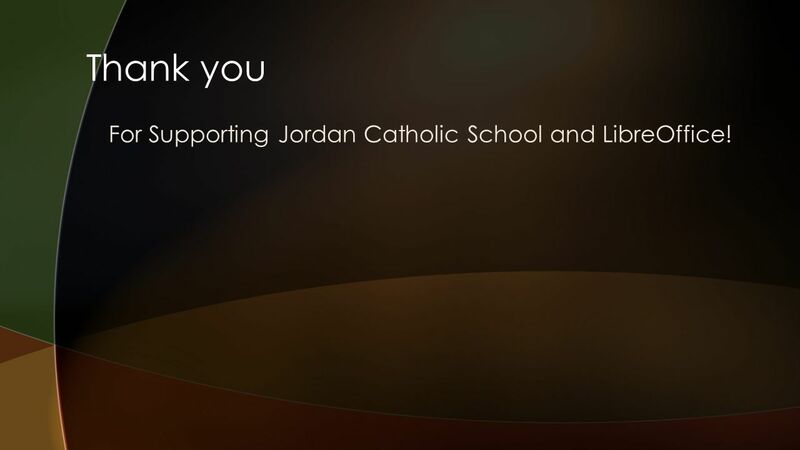 16 Thank you For Supporting Jordan Catholic School and LibreOffice! 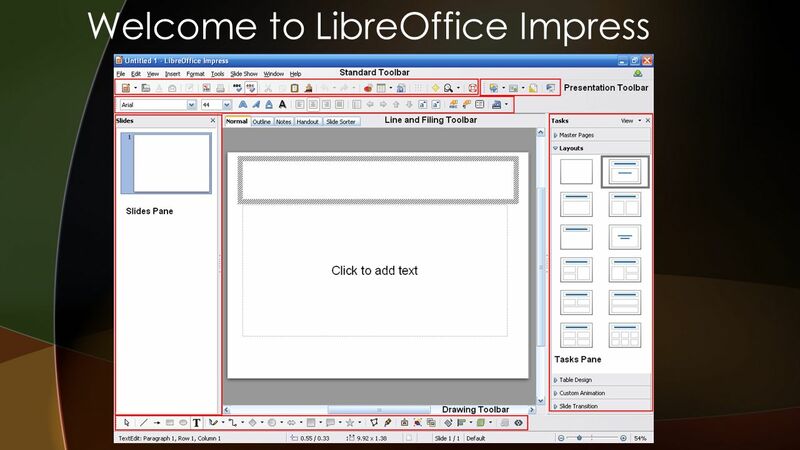 Download ppt "Presented by Aaron Johnson Intro to LibreOffice Impress Jordan Catholic School." Creating a brochure with MS Publisher K Enniss 2/2003. Presented by: Benefits Systems Support. 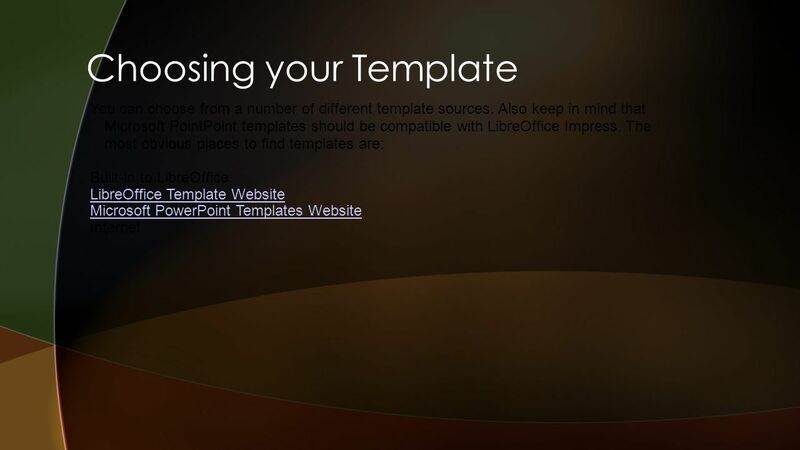 Getting Started ê Open Powerpoint, create a blank presentation. 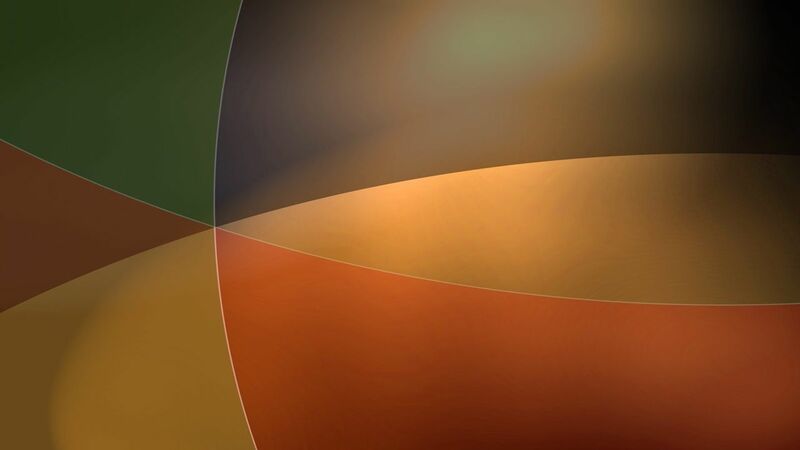 ê Select a style for your first slide from the. Advanced Microsoft Word Hosted by Jared Hoffman Topics Keyboard Shortcuts Customizing Toolbars and Menus Auto Format & Auto Correct Tabs Inserting Pictures. 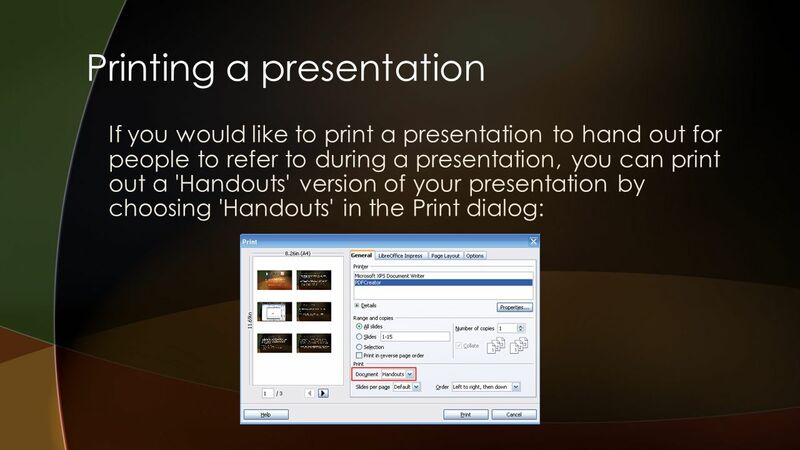 How to Prepare a PowerPoint Presentation Center for Learning and Teaching Fall 2003 Binghamton University. 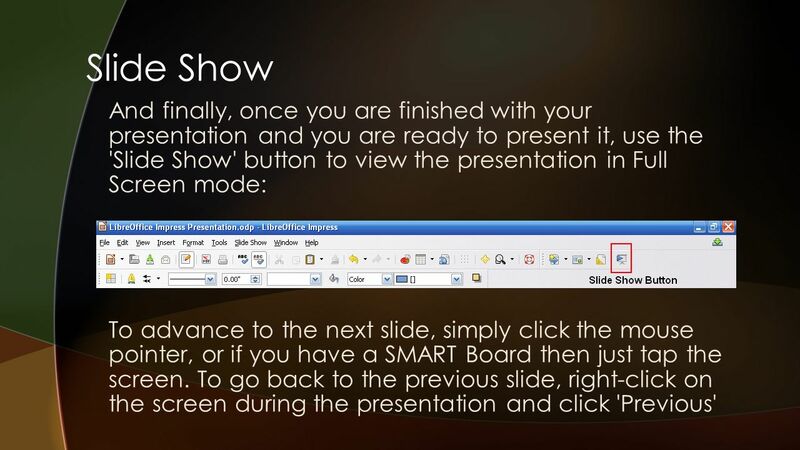 Microsoft PowerPoint ® 2003 Carl B. 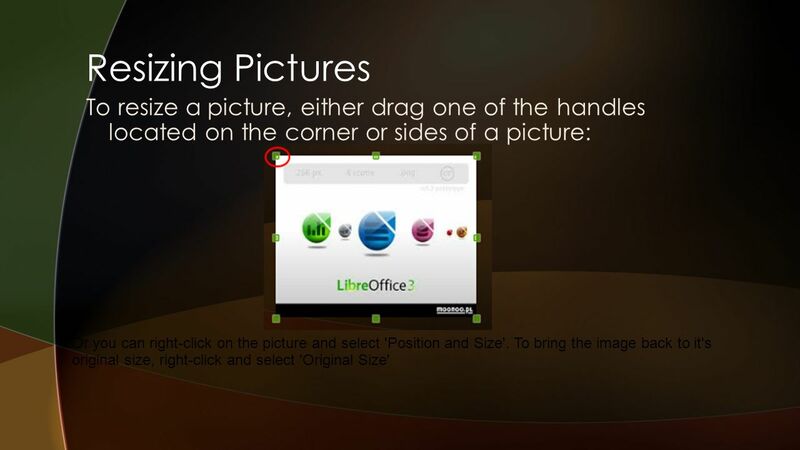 Struck Presentation Graphics n Educational, business, sales and other presentations (slide shows) n Combination of.